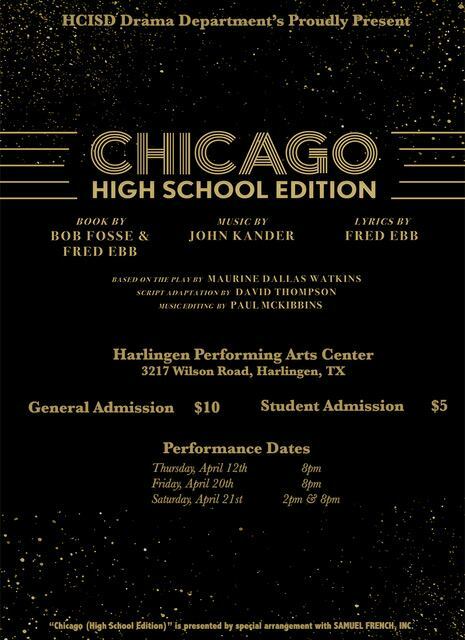 Harlingen CISD’s Drama Department proudly presents Chicago High School Edition. Performances will take place at HCISD’s Performing Arts Center located at 3217 Wilson Rd. in Harlingen. Thursday, April 12 – 8 p.m.
Friday, April 20 – 8 p.m.
Saturday, April 21 – 2 p.m. and 8 p.m.